Place small amounts of carpet in the trash. If you can’t fit all of it in the garbage, then take it to the landfill. Garbage collectors may not pick up your trash if it does not fit in the receptacle. Most carpet recycling programs will not accept carpet that is contaminated by paint, drywall, asbestos or mold. Small amounts of contaminated carpet can thrown away, while larger carpets must be taken to the landfill. The Carpet America Recovery Effort (CARE) is a joint industry-government project to increase carpet recycling. They have a number of carpet reclamation partners in California that accept unwanted carpet and will recycle it for you. Some carpet retailers have recycling programs already in place. Ask the carpet installer if they participate in recycling programs for old carpet. 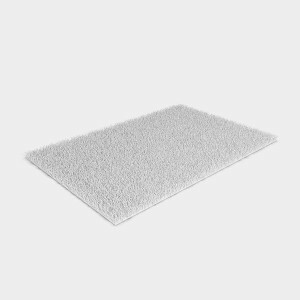 Consider purchasing an eco-friendly carpet to reduce your environmental impact. The most eco-friendly carpets are made from natural, renewable fibers, such as seagrass, jute and organic cotton.